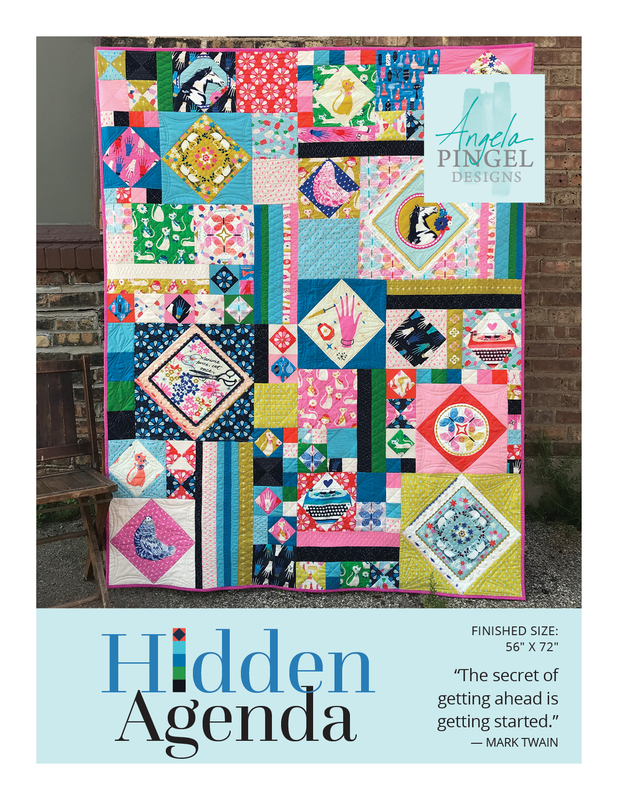 Hidden Agenda is the perfect quilt for that very special fabric you have been collecting. 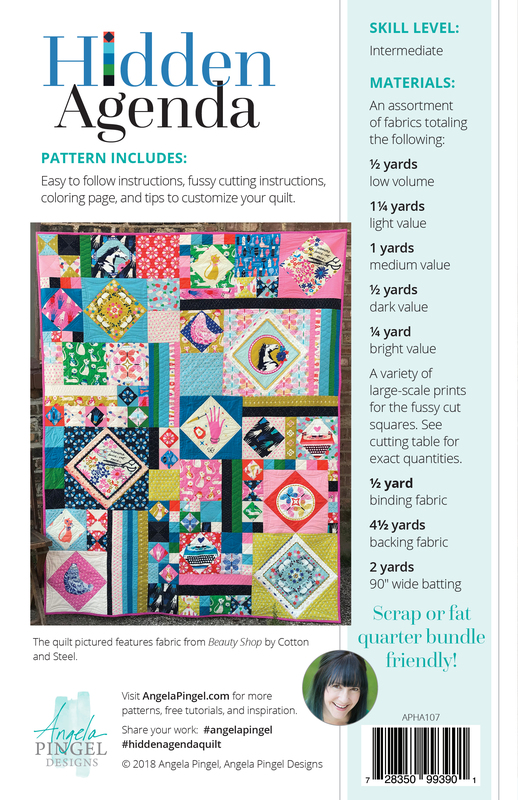 With a variety of fussy cut squares, the pattern accommodates practically any fabric that you throw at it. There are large blocks for the pieces that you just cannot bare to cut into, and there are smaller blocks that let you feature moments of scenic fabrics. Hidden Agenda is perfect for panels as well. 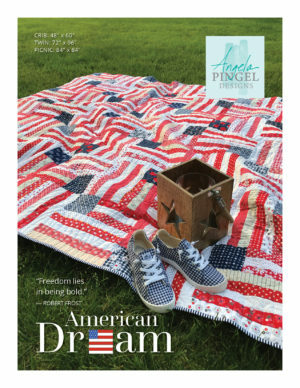 The pattern includes helpful tips and tricks for balancing fabric placement and fussy cut pieces. It also includes a greyscale version of the fabric layout of the full quilt, along with a blank template so you can color in your own ideas ahead of time. 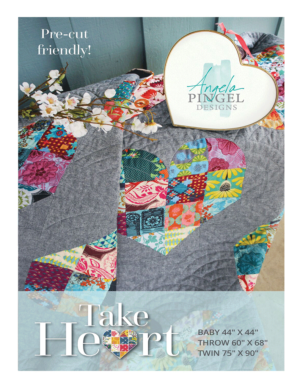 This quilt can be made with any combination of solid and print fabrics, using a variety of shades and scaled prints. 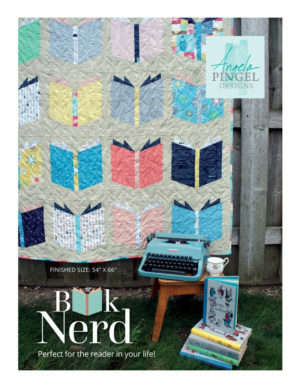 A few of the fabrics that would be perfect for this pattern include any collection by Tula Pink, Heather Ross, or Alexander Henry’s Ghastlies. For an organic bohemian feel, consider using large florals. 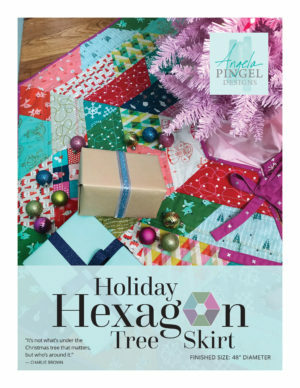 It is also particularly well suited toward Holiday fabrics as they often have panels or large motifs perfect for fussy cutting. The beauty of this pattern is how well it showcases special prints. A variety of large-scale prints for the fussy cut squares. *See cutting table for exact quantities.